AfricodeX is a platform for members of the Africode network to share cool technology, ideas, projects, and new knowledge with other members of the Africode community, as well as the general public. Once a month, we host an AfricodeX live tutorial centered around a different technology. During the tutorial, we introduce one or more new ideas, projects and discussions connected to the topic of tech in Africa. The audience can also ask any questions and implement the lesson on their own computer. See the events calendar for a list of upcoming live tutorials. Although AfricodeX tutorials are open to anyone and everyone, regardless of technical background and expertise, we still recommend you install a few tools/applications that will enable you complete the tutorials with ease. Here, we discuss those tools (our stack) and how to install them on your computer prior to attending a tutorial. Atom is a free text editor, created by Github, that has quickly become the go to text editor for software developers. It has a large user base and therefore has many useful features and support for the platform such as documentation, blogs, themes, packages, etc. During AfricodeX tutorials we'll be using Atom write code and to modify any source files that the tutorial host shares. Although, you will be able to use any other text editor, we suggest that you download and install Atom if you don't already have a reliable text editor on your computer. Go to https://atom.io/ and click on the download button. Read this post, for tips on how to make the most of the your Atom installation and development environment. Git is a version control system used for software development projects. It enables multiple people contribute to the code that is ultimately released as the software package. In git terminology, a repository is the home for your project files and allows multiple people to contribute. With git, you can create, clone or download a repository. AfricodeX tutorial hosts typically create public git repositories that the audience can download or clone in order to follow the tutorial. 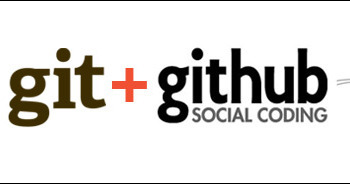 Github is the web-based version of git that allows users to create an account, create a git repository or become contributors to git repositories owned by other Github user. Github accounts can either be private or public. Public project accounts are free, however, to make your projects private, you either have to have a paid private account or be signed on to the free GitHub Student Developer pack. If you are currently a student, we suggest that you sign up for the free student pack, which offers many additional perks like discounted access to Amazon Web Services (AWS). Sign up for a public Github Account here or a Student Developer account here. To install and use git you will also have to use the terminal (command line) on your computer. The terminal is a simple text interface to your computer underlying Operating System (OS). The installation process is varies depending on whether you are running on a Mac, Windows or Linux OS. Follow the instructions here for a detailed explanation of how to install git, and be sure to scroll to the section that is specific to your OS. GitHub desktop is an application that provides a simple and user friendly way to manage the files in your git projects. The core benefit is that with GitHub desktop, you no longer have to manage git project files from the command line. However, Github desktop is only available for installation on Windows and Mac OS systems. Once installed, you can sign in with the GitHub account credentials you created previously. You will then be able to see and manage all your git projects at a glance.